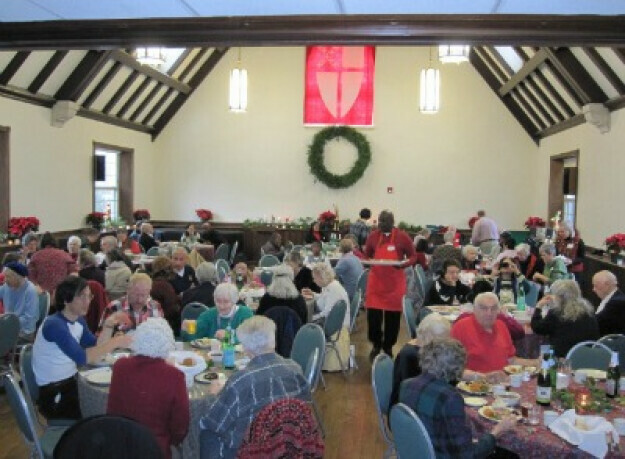 Our joyous Christmas dinner is an annual tradition at St. Alban's. All are welcome to join us for a warm, delicious, traditional turkey meal with all the trimmings in a caring community. Please join the team which prepares and serves at this wonderful, annual event. If you cannot join on the day, we welcome, and depend on, your contributions of food, drink, and supplies or finance. Please stop by and visit with our team on Sundays in the Narthex during Advent to learn more…even a just a warm hello is welcome! Contact Michele Bond for more information or to volunteer. 1:00 p.m. in Spanish in the Little Sanctuary at St. Alban's School.